Well, it turns out you don’t have to suffer. Using a tent heater could be your solution. Continue reading to get the inside scoop on the best tent heaters for camping and how to choose. 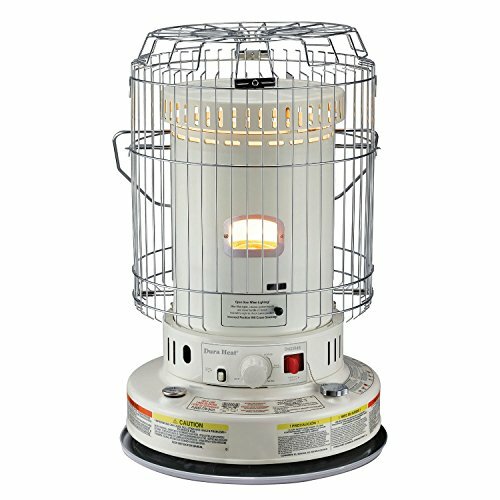 What Kind of Heater is Safe to Use in a Tent? Is a Catalytic Heater Safe in a Tent? What is the Best Way to Heat a Tent? Can You Use an Electric Heater in a Tent? 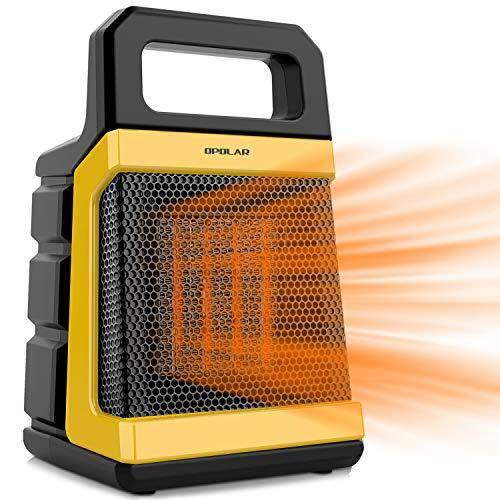 Review: This small and compact heater is a very effective heater of small spaces and can be used safely to warm tents provided there is plenty of ventilation. Includes low oxygen sensor and automatic kill switch when tipped over. Compatible with disposable propane gas cylinders. Runs for between 5-6 hours on one cylinder. Requires good ventilation to prevent carbon monoxide build up. The maximum elevation of 7000 feet. This is the best camping tent heater for 2-4 man tents and the best tent heater 2019 for its small size and efficient heat. Review: This is probably more than you need for heating most tents, but it is a true catalytic heater which is safe and efficient, and very effective for large tents. 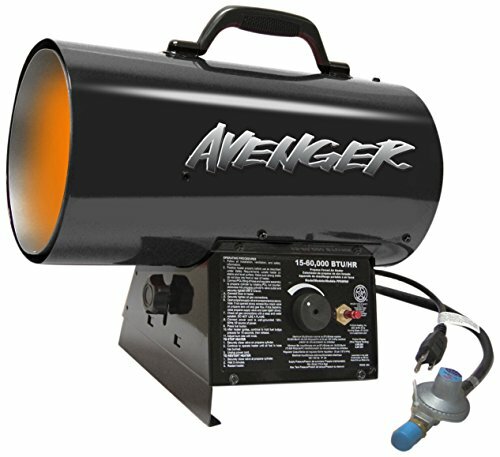 Operational to 12,000 feet which is a much higher altitude than other propane heaters. Automatically shuts off if the flame goes out. 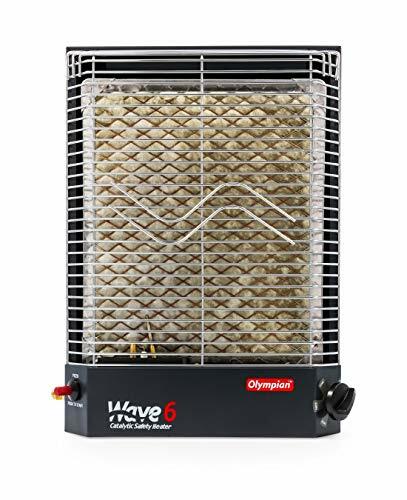 This is a higher end alternative to the other propane heaters on this list and another of the best tent heaters 2019.
Review: This is a larger alternative to the Little Buddy and well suited to medium sized tents (6-8 people). It gives out substantially more heat, is low-odor and quiet. Auto-shut off when oxygen gets low or it tips over. Compatible with propane gas canisters (sold separately). Not as efficient in gas usage as other propane heaters. Needs to be used in a very well-ventilated tent. 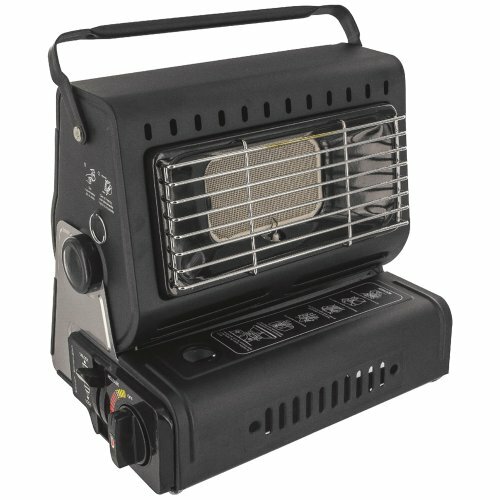 This is the best tent heater on the market for medium sized tents that don’t have power supplies. Review: This ceramic heater is an efficient alternative to propane heaters. It does need a power source but this isn’t an issue if you’re camping at a powered campsite. 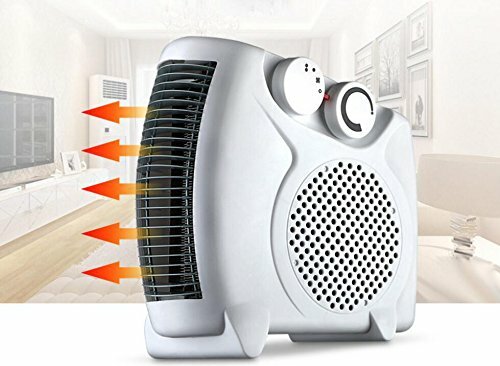 Automatically shuts off if it overheats or tips over. Maintains a constant temperature according to the thermostat. Has three settings in addition to the thermostat (high, low and fan). This is the best portable tent heater for large tents with a power supply. Review: This wood stove wins a place on this list for its versatility as it can be used for cooking and even has a little tea towel rail which would be a great place to dry wet hiking socks. It’s more suited to longer-term setups in large canvas tents and won’t be suitable for synthetic tents unless you have a heatproof sleeve for the flue. Highly versatile, doubling as a cooking stove. Produces a LOT of heat, probably too much for smaller tents. Your tent will need to be compatible with wood stoves and have a flue sleeve (or it will melt). The first coat of cheap paint needs to be burned off outside before you can use it inside a tent. This is the best tent heater for large canvas tents or for use outside or under an awning. Review: This propane heater is another great option for when you don’t have access to a power supply. But again, as with any gas heaters, the tent needs to be really well ventilated to avoid carbon monoxide poisoning. Auto-shut off if the flame goes out. Compatible with 16.4 oz. or 14.1 oz. disposable propane canisters (sold separately). Pretty efficient on gas compared to other propane heaters. Needs to be in a very well ventilated tent. Head is not adjustable, points up at a 45-degree angle. 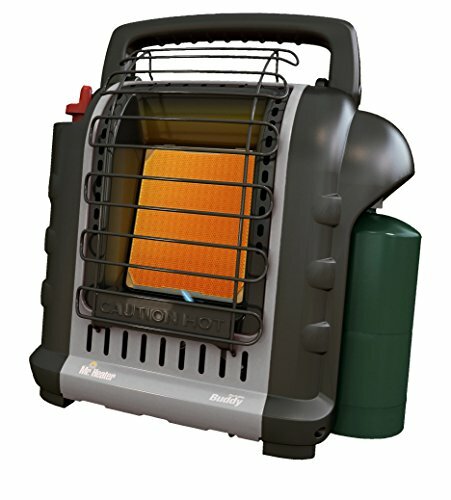 This is the best heater for tent camping if you’re looking for something efficient on gas. Review: If you have access to a power supply and want a heater that a group of people can sit around, the 360-degree design of this heater fits the bill. Automatically switches off if it tips over or starts to overheat. Has a cool touch handle for easy portability. 750-1500 Watts depending on setting. Heat is emitted from all sides. There are some limitations with the controls when on the low setting. The thermostat only appears to work on the high setting. This a great option for medium to large sized tents with a power supply and the best electric heater for tent camping. Review: This is a pretty unique option as far as tent heaters go but is ideal for smaller tents or backpackers looking for something lightweight. It pairs with your cooking stove, heating up and then emitting heat so you can use the same gas canister for your heating as for your cooking. Compact and convenient to carry. Heats up quickly and retains heat after the gas is switched off. Compatible with any kind of stove. The metal is quite thin so it would need some kind of protective case if you want to carry it in a backpack. This is the best backpacking tent heater. 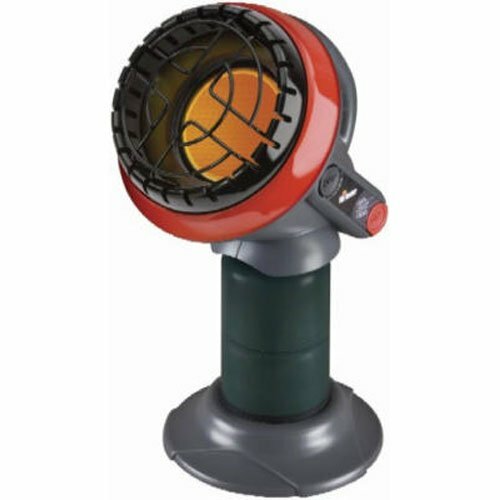 Review: This is a compact little propane heater ideal for small to medium sized tents. It is safe, efficient and made with camping in mind. Foldable legs make it convenient to transport and easy to set up. Can produce heat for 7 hours on a single lb. cylinder of propane. Catalytic technology provides heat without a flame. The surface can get hot to touch. This is an excellent alternative to the Little Buddy, providing plenty of heat in a small package. 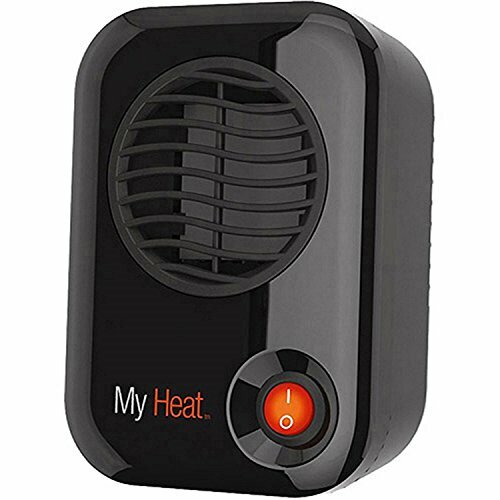 Review: This is another alternative to the Mr Heater Buddy which is affordable, safe and efficient for use in a tent provided you leave a door open. Compatible with a 16 oz. butane gas canister (sold separately). No matches required for ignition. Plenty of ventilation needed for safety. 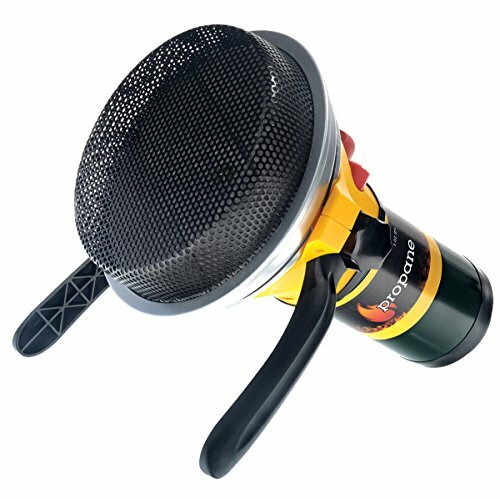 This is a reliable and affordable butane heater. 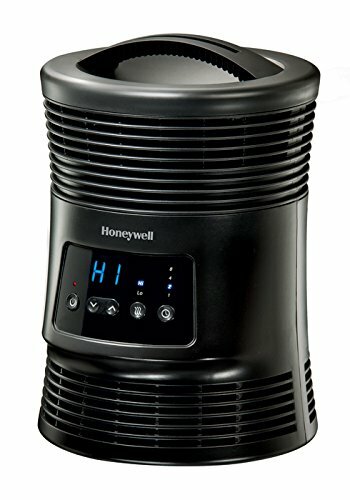 Review: This is a large kerosene fuelled heater designed for indoor use so is safer than some of propane heaters on this list. 23,800 BTU is a very good amount of heat for large tents. 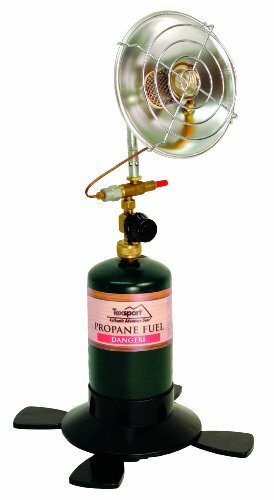 Provides 9-12 hours of heat on a 1.9-gallon tank of kerosene. Gives off heat in a 360-degree radius so ideal for sitting around in a group. This is another great option for really large tents providing a decent heat source for sitting around in a group setting. Review: This is a powerful propane heater that should only be used in large tents and with plenty of ventilation. There are pretty specific instructions you need to follow in order, but this shouldn’t be a problem once you’ve done it a couple of times. Doesn’t require matches for ignition. Adjustable heat settings on a sliding scale. 60,000 BTU is extremely powerful for large areas. Heat protected motor for durability. Obviously, you need to be really careful not to direct it towards any tent walls. This is a heavy duty heater that is guaranteed to last a long time. Review: This mini space heater is the perfect little heat injector for small to medium tents with a power source. It is quiet and effective without introducing any risks from CO. 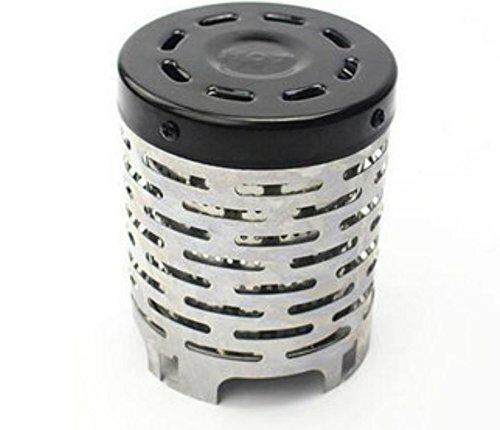 Tiny and lightweight, about the size of a large computer speaker. 200 W power and ceramic element make this an efficient little machine. Cool touch exterior and overheating protection. Too small for large tents. This is the perfect sized electric heater to take on camping trips, being so small that you won’t be annoyed if you don’t end up using it. Review: This is another excellent option for tent camping when you have access to a power outlet. 1500 Watt element is efficient and just the right size for a medium sized tent. Heater exterior is cool to touch so safe for children. Adjustable thermostat has 11 settings. Doesn’t switch off if it falls over. This is a compact little space heater that is lightweight and portable. Review: Obviously this is not for use inside your tent! But if you sit around a cozy heat source like this all evening, I’m betting you wouldn’t need a heater inside your tent. 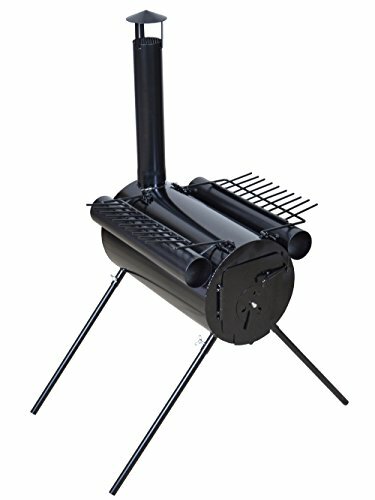 This is a safe, gas-fuelled alternative to a campfire which is ideal in places where campfires aren’t allowed. Perfect for use just outside the tent. Some of the heat will probably enter the tent anyway! Long hose connecting to the gas canister to keep it out of the way. You can enjoy the vibes of a campfire and keep warm without having to deal with the smoke. Not suitable for directly grilling food over the coals but if you have your food contained in a Dutch oven or skillet it should be fine. 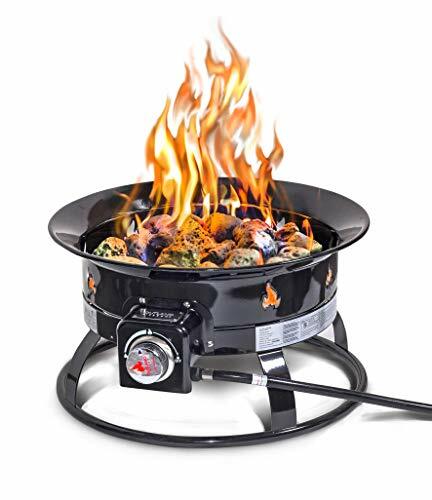 This is the perfect portable campfire for places with fire bans that can even double as a grill for some flame cooked nibbles. Camping in cold weather can be miserable if things get really damp and cold inside the tent. No amount of hot chocolate and woolly clothes can warm you up once your core temperature drops. A tent heater can be an excellent piece of camping equipment to have on hand for when that cold front comes through unexpectedly and threatens to ruin your camping trip. So what do you need to consider before rushing out and buying one? Whether you choose a gas fuelled heater or one that plugs into a power supply will depend on whether you usually camp at campsites with power hookups, or whether you’ll be camping more remotely and need to bring your own fuel. Gas allows more independence and variety in your camping destinations but also has pretty important safety risks as talked about above. Electric heaters are small and compact so easy to transport, and you don’t need to worry about carbon monoxide poisoning. But, you need a power supply. Having a heater inside your tent will result in a significant amount of condensation. As soon as the temperature inside your tent is significantly more than outside, any moisture inside the tent will condense against the cool surface of the tent material. Condensation is more of a problem in single-walled tents than double, but if you’re using a heater, you’ll get a decent build up moisture on your rain fly either way. All you can do is reduce it by keeping some vents and window open for ventilation and keep an old towel on standby for sponging off the excess before it drips on you. If you’re car camping, this is less of an issue than if you’ll be hiking into your camping spot. The best tent heaters for camping ideally should be easy to carry and not take up too much space in the boot of your car (or backpack if that’s how you roll). Carbon monoxide poisoning is a very real threat when using gas fuelled heaters in an enclosed space. Usually, leaving a door and some windows open will provide enough ventilation. But this will also let heat out, so you need to think carefully about whether it’s worth burning through a lot of gas only for the heat to be lost to the great outdoors. It’s also important to get the size right. A heater with a high output will use up oxygen levels in a small tent very quickly, regardless of how much ventilation you have. If you’re not sure, always go smaller to be safe. Even with ventilation and the right size heater for your tent, if you’re going to be using a gas heater, investing in a Carbon Monoxide Detector Alarm is a must. They are tiny, affordable, and could literally be the difference between life and death. Some gas heaters come equipped with safety features such as automatically shutting off when they get tipped over or oxygen levels are low. These are excellent features to have in a tent heater. Finally, never, ever sleep with a heater running in your tent overnight. It’s just not worth the risk. So, on that positive note, what are some other things you should be doing to keep yourself warm? More important than a heater to warm the air in your tent, is the insulation you use to trap the heat your body’s producing. In the survival world, they say one blanket underneath is worth three on top. And it’s definitely the case with camping. So, make sure your sleeping mat is up to standard. Wear good thermal underwear, thick socks and a hat. Merino wool is best with polypropylene a close second. Eat a hearty dinner before going to sleep (your body will use the energy from this meal to keep you warm through the night). Put an extra blanket on top of your sleeping bag. If you’re backpacking and don’t have space for a regular blanket, silver emergency blankets are tiny and can be a valuable extra layer. Reusable hand warmers like HotSnapz are another great cold weather camping hack that can be used inside your sleeping bag to warm your feet in the small hours. Tents from the best camping tent brands should be well insulated, but regardless, if you know you’re going to be camping in cold weather, make sure your tent is designed for cold weather so your heater isn’t using unnecessary amounts of fuel. Check out our article on the best cold weather tents if you haven’t already. Some instant tents are actually pretty well suited to cold weather. If in doubt, a canvas tent is an excellent choice as canvas tents are more breathable than synthetic tents and often come fitted with a flue sleeve for wood stoves. Propane catalytic heaters and small electric space heaters are safe to use in a tent but other gas heaters can be safe for short periods of time provided your tent is well ventilated. Yes, catalytic heaters are the safest propane heaters for tents as they don’t use an open flame so pose less of a carbon monoxide risk. Using an electric heater or a catalytic heater are the best options for heating a tent. But it’s more important that you dress warmly and have a good sleeping bag and sleeping pad as you shouldn’t sleep with a heater going in your tent overnight. Yes, you can definitely use an electric heater in a tent, provided you have access to a power supply of course (don’t try and run a heater from your car’s cigarette lighter unless you want to destroy your battery). Now you’ve got the inside scoop on the best tent heaters for camping, you can decide whether it’s something you might try out on your next camping trip. Feel free to share your thoughts on tent heaters below and be sure to download our free ebook if you haven’t yet.